Although students are out of school for the summer, it is still a great time to create conversations surrounding food literacy! By purchasing whole, nutrient-dense foods, our young learners will be best prepared to return to the classroom in just a few short weeks with sharp minds and healthy bodies! 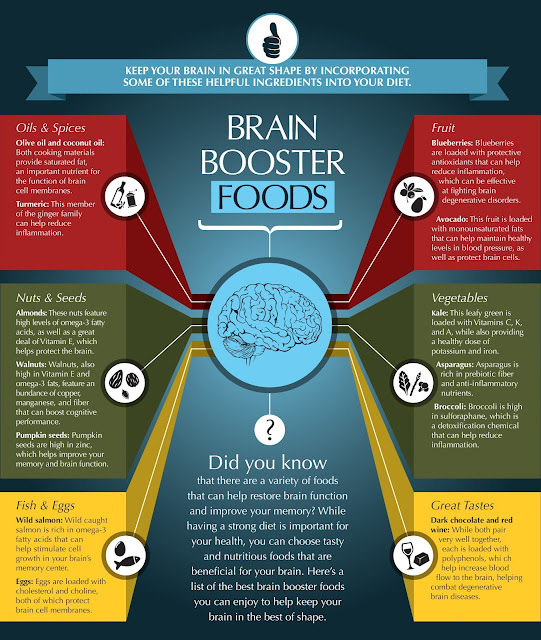 Certain foods are particularly effective in improving brain function! Here's a list of the best brain booster foods youth and adults can enjoy to restore brain function and improve memory! Thank you to Ira Toyota Danvers in Danvers, MA who made this cool infographic as part of their community wellness initiative! For more information on Brain Boosting foods, please visit Eat Right's article: "4 types of Foods to Help Boost Your Memory". Do you have a summer nutrition education program in your school or community that provides brain booster foods? Do you have other brain booster foods not listed here?